The price we pay for not allowing ourselves to feel anxious or sad, is not being able to feel happiness as well. Alternatively, accepting the full palette of our emotional states we can persist in behaviors consistent with our honest values. In doing so, we end up much happier as a byproduct. I say honest values, because we need to break away from the notion that values must be working in a soup kitchen. It could be spending more time fishing with your friend. 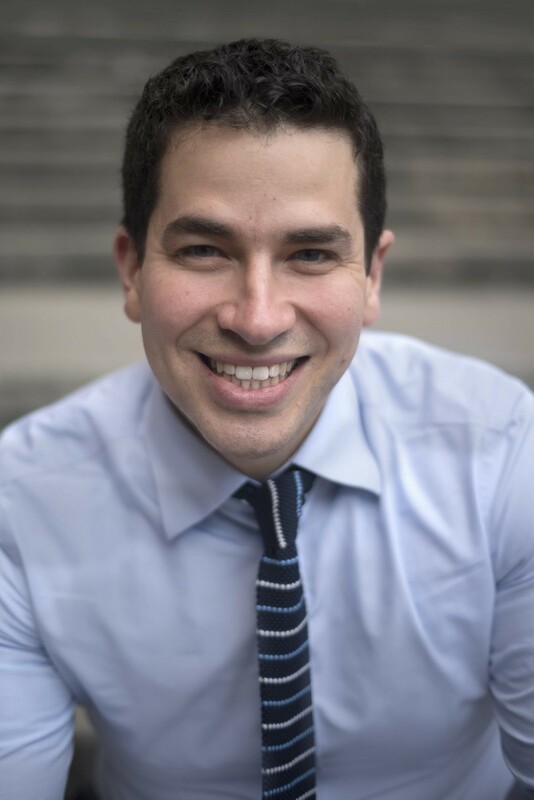 I had the pleasure of interviewing Dr. Elliot Kaminetzky, the founder and licensed psychologist at My OCD Care (myocdcare.com) in lower Manhattan. He aspires to make specialized OCD treatment accessible to anyone around the globe who needs it. When not in the therapy office, Dr. Kaminetzky loves playing basketball, guitar, and building magnatile castles with his kids. I chose to specialize in the treatment OCD and anxiety disorders while I was an extern at The Reeds Center in Manhattan which specializes in OCD and anxiety disorders. I was given excellent training in exposure and response prevention (ERP) — which helps people confront their fears and empowers them to resist compulsive behaviors. Seeing how quickly life changing results occur in patients made providing the treatment so satisfying. I knew this was something that would be deeply meaningful to master and provide to those who need it. As a postdoc at Northwell Health, I provided this treatment in a group format. There was something very powerful about leading a group of people with OCD in doing the things they feared most. The mutual support and healing that happened before my eyes was touching. Not only was feared confronted and conquered, but the shame and stigma involved in having OCD or anxiety was reduced as well. I recognize there is a tremendous need both nationally and globally for specialized OCD treatment. I am working to help overcome the barriers to such care including lack of providers with such specialty, cost of care, and the stigma surrounding mental illness. I believe group treatment is the path toward this goal. To me, living on purpose can best be understood in a metaphor. It’s that painting that’s in your living room. On one end of the spectrum is the individual who was given a painting and hung it up because that’s the painting that was there. He doesn’t love the painting. He doesn’t hate it quite enough to take it down, but it does nothing for him. He could potentially afford something he likes more, but its just much easier to keep this one up. Tolerate it. On the other end is someone who reflected on making a painting that would be most appreciated by him. He takes courses on how to make such art. He cuts time out of his schedule to dedicate to this project. He recognizes that it is a work in progress, some days he feels up to painting, other days not. Regardless he puts the work into it. He is present and accepting of his work, even if he makes errors or it falls short of his expectations. Ultimately, he becomes invigorated by the process of painting, because he knows it is his own work as he finds most meaningful. He feels pride and joy seeing it hanging on the wall. Living purposefully means reflecting on what brings value to your life. This means pen on paper in a quiet room. It entails being present in the work that you are doing and making sure that work adds up to something bigger than yourself. Practically, it can be looking at your calendar for the week and cutting out 1 hour of time spent doing something which just gets you through the hour and replacing it with something that you love but haven’t done in years for one reason or another. This is not something which happens over night. But moving toward the direction of a purposeful life, regardless of where you fall on the spectrum is what counts. For me, finding what I love to do has been a process of trial and error. There was no aha moment which turned everything around. Its been the result of a strategy. Trying various experiences and assessing whether it was something I want to do more of or less of. I learned I like listening to and helping people. I learned I don’t like having to work a set schedule. I learned I need to find a path that requires creative thinking. Then, I learned that it bothered me that so many individuals with OCD are not getting the treatment they need. I believe I have the skill set to address this. Looking at the study through the eyes of a researcher, I’d say we are doing pretty well. While we are ranked 18th, we are within 1 point of those happy Finns at the top (about 6.9 vs. 7.6) on a 10 point scale. Still we do see a good deal of unhappy people who ostensibly have a great life. Perhaps part of the answer lies in the question. The importance we ascribe to experiencing happiness — or a “positive” emotional states and avoiding “negative” emotional states, can be self-defeating. The price we pay for not allowing ourselves to feel anxious or sad, is not being able to feel happiness as well. Alternatively, accepting the full palette of our emotional states we can persist in behaviors consistent with our honest values. In doing so, we end up much happier as a byproduct. I say honest values, because we need to break away from the notion that values must be working in a soup kitchen. It could be spending more time fishing with your friend. Earning my doctorate and specializing in OCD treatment has enabled me to change the lives of people who have suffered tremendously from intrusive thoughts and compulsive behaviors. OCD is commonly misunderstood as being extremely neat, but few people know that it could be manifested in a constant, crippling fear of causing harm or getting deathly ill from behaviors that are objectively safe. People also make light of the condition, using it at an adjective — “I’m so OCD right now” — which can be invalidating to those whose lives have been upended by the condition. Spreading awareness about OCD is very important to me. Luckily ERP is an effective and time-limited treatment supported by decades of scientific research. However, there is a significant deficit in mental health providers who can implement this treatment and it can be very expensive. Beyond my work in private practice, I plan to focus on popularizing this treatment and making it more accessible to those who need it. I believe Joie De Vivre will come when addressing factors within ourselves and in our environment. Within our selves: Develop habits which prepare you to appreciate what life has to offer. 1. Mindfulness. Being fully present in the moment in a non-judgmental manner. Instead of rushing through your morning routine, take a moment to feel the water splashing on your face and the taste of the mint on your toothbrush. Our mind will naturally wander to all the deadlines and tasks we need to do. That’s fine — but gently shift back to your mindful moments. Our thirst for life will develop when we take a moment to taste it. 2. Radical self-compassion. It’s much easier to be kind to our loved ones than to be kind to ourselves. We often focus on our shortcomings and fear whether this flawed person can succeed in the future. True or not, this line of thinking is deeply unhelpful and will sap you of energy and capacity to thrive. There are great loving-kindness meditations available on Youtube which can help engender such compassion. 3. Avoid being stagnant. There is great truth in the saying that humans cannot live on bread alone. We are growth oriented creatures. Whether it’s learning a new hobby or starting a fun exercise routine, we need to have some area of personal growth. Don’t wait for inspiration, let inspiration flow from your behaviors. Within our environment: Design a life we want to wake up to. 1. Live within your means. One of the greatest sources of chronic stress is overspending. To the best of your ability, make your life affordable. Invest less in material goods and more in experiences. You’d be surprised how many fun events are free. Try reviewing your Amazon purchases of the past 6 months and ask yourself which of these items you ended up needing as much as you thought you did when you bought it. 2. What you do for work really matters. Americans spend most of their time at work. If you find that come Sunday night, you begin to feel a sense of dread for the week ahead of you and you are a cheerleader for Fridays, thirsting for life will be near impossible. While destabilizing everything may not be the best idea, having a plan to find something that’s closer to what is right for you is essential. 3. Stop comparing. Replace a portion of time spent on Facebook with writing in a daily journal (even for 5 minutes). Social media can be a tremendous force for good. Looking at 48 pictures of the person you barely knew in elementary school’s vacation to Cancun can easily detract form appreciating your own life. It’s so crucial to spend time with yourself. Writing can serve as the basis to figuring out which changes can enrich your life. Listening to podcasts pertaining to entrepreneurship, starting a private practice, and sharpening my clinical skillset, was very formative for me. Hearing inspired professionals doing what they love, served as a model for how I wanted to shape my own career and life. “When it comes right down to it, the challenge of mindfulness is to realize that “this is it” Right now is my life. The question is, What is my relationship to it going to be? it’s a mind-blowing concept that our life exists entirely in this one moment that we are in. I remind myself of this when I find myself needlessly worrying about something off in the future or ruminating about something that happened in the past. Our capacity to be totally in the present moment (even if that moment is actively planning for the future) is empowering. Yes. Through My OCD Care, I am launching a program that will increase the popularity of exposure therapy among individuals with OCD and provide widespread comprehensive training to clinicians willing to learn. In doing so, I hope to increase access to the treatment and decrease the prevalence of OCD nationwide and beyond. Given the debilitating nature of OCD, this will certainly help them and all those who could benefit from what they have to offer. The movement already exists, but I hope it will increase in popularity. Mental illness stigma needs to end. As a society at large, we need shift our viewing mental illness as a character flaw to seeing it and treating it as we would any other illness.